It has been ages (in “tech years”) since Don Peppers and Martha Rogers broke down the fundamentals of personalization in “The One to One Future”. Yet, over 20 years later most marketers are still struggling with personalization in their marketing strategies. We don’t need to look far for an explanation: personalization is hard, really hard at scale. I’m sure this is why 65% (source) of marketers still use the old school mass blast techniques of the Mad Men days. It’s easy to get caught up in the challenges that come with implementing a personalized marketing strategy, but don’t lose sight of the fact that personalization can increase the return on investment (ROI) of campaigns by at least 10% (source). So because of platform limitations and/or resource constraints most marketers are leaving millions of dollars on the table with every executed campaign. At Localytics, we believe that personalization is a critical component to any successful mobile marketing effort. That’s why we’ve made it our mission to remove the barriers that keep more than half the world’s marketers from embracing a personalized approach to marketing. 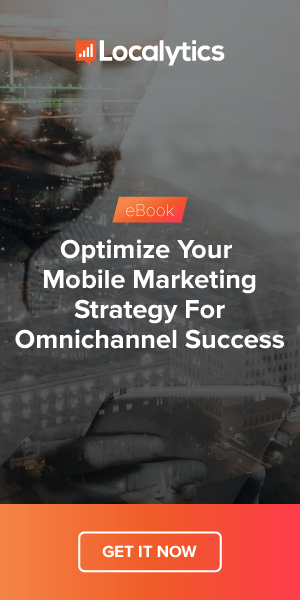 Whether you are a newbie or an expert, our engagement platform is the most powerful in mobile because it is the only one that easily enables you to leverage your most granular pieces of data for personalization. With little effort, we allow you to remind Aaron about the red tundra jacket he left in his cart last Thursday, or change the communication channel based on his prior interactions, at scale. Ready to optimize for powerful 1:1 relationships with your customers? Contact a Localytics sales rep today. One more thing, we are announcing a brand new workflow later this quarter that will make personalization even easier so stay tuned!